So you decided to invest in gold. You think that gold coins are the best choice. You’re right, gold is an excellent choice, and gold coins are a great way to buy gold. If you’re a numismatics lover but never previously dealt with this, you don’t really know where is the best place to start your gold coin journey. In this article, we’re going to tell you how to get gold coins. Where are the best places to look for coins? Some places are a better fit and others not so much. It depends on your preference, and through this article, you’ll learn what you like the most. Read on and see where to look for gold coins. In our opinion, online sellers are the best. You can see and learn everything you want to know for the coin you’re interested. All this from the comfort of your home. You can think about your options for as long as you like and then make a decision before finally ordering one. 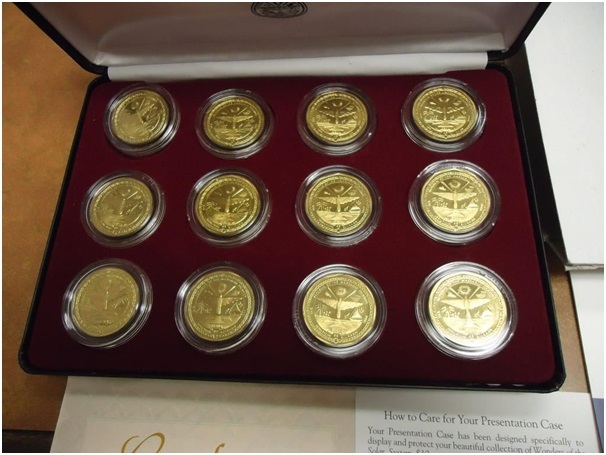 Gold coins range from a few hundred dollars to a couple of thousands. This money might not be enormous, but it is still a sum that’s way higher than what you usually spend in the grocery store. It’s wise to think about it for a day or two. So, if you’re asking yourself where to buy gold coins, our first answer would be – online sellers. Other people prefer direct contact with the seller and seeing the coins in front of them. We don’t judge, of course, this is better for some. Also, there are other positive sides from buying coins this way. Local dealers will sell you the coin right away while purchasing online will make you wait at least a few days. Also, you don’t have to tell your address to the dealer so you have maximum privacy. There are no shipping fees too nor any kind of insurance for the seller to send you the coin. On the other hand, local dealers will probably sell you coins for a higher price and if you want to sell them back they’ll offer less than you first bought it. eBay is a place where private collectors and owners sell their stuff. Buying through eBay means you’re contacting with a live person who is a private owner and collector probably just like you. A lot of people decide to sell their collections online for different reasons. They need money or they trade with a hope that they’ll make a profit. It’s great if you find the first ones. They are probably trying to sell everything they own and will offer a better price for some coins that are much worthy. Also, eBay usually is a place where the shipping is free, so you’ll save some money too. Agencies, big companies, museums, and auction houses often organize events where coins are displayed in a form of exhibition. Sometimes these exhibitions are just a show, but sometimes you can actually learn a little more about gold coins and buy some of them. Auctions are a great place to look for rarities. Of course, if rare gold coins are something that you’re interested and you can afford some of these because the rare coins are almost always very expensive. For example, the most expensive gold coin ever sold, the Double Eagle minted in 1933 from the US Federal Mint was sold for an amazing 7.6 million US dollars. Learn more about it here. Not every show offers only expensive pieces. Very often there are conventions that numismatists hold. You can learn, share your experience and listen to other people’s stories about gold coins. Of course, trading coins is one of the main reasons why everyone is there. A lot of banks in different countries around the world also sell their own national gold coins. These coins are usually made for numismatic purposes. The USA’s national bank is not involved in the minting process, but many other, especially banks in Europe are directly responsible for minting new gold coins. So, if you live or travel in Europe, give the national bank a call to see if they sell gold coins. Some of them can be really great and become a valuable part of your collection. Business 5, Buy, Coins, Gold, Ways. permalink.